For Avita Osbourne and her husband Mitchell, a cemetery in Madison is now the only place where they can visit their Ahmad who was murdered one year ago. Ahmad Osbourne was 18 when he was shot and killed inside a friends car. One year later, no arrests, no one charged, no justice for their son, who had just graduated from high school and was on his way to becoming a veterinarian. Avita's heart still breaks, every time she's here. "I miss him. 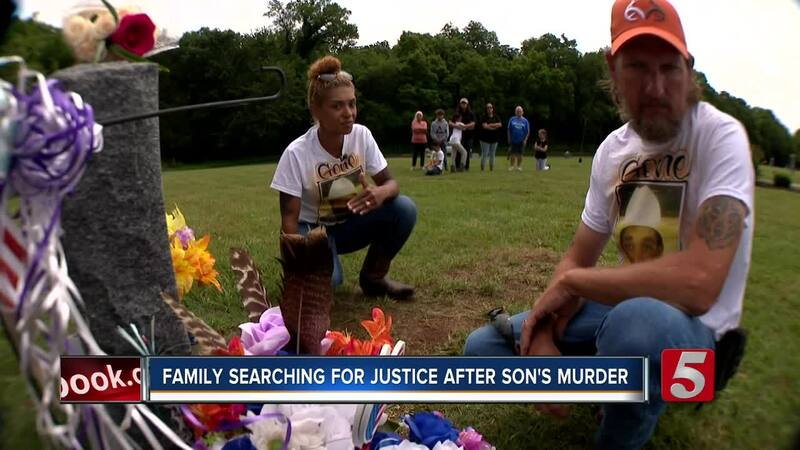 I tell him how much I wish he would've never got in the car that day, how I wish we could've done something to prevent it," she said standing at her son's grave. Her pain is only compounded by a spike in the city's homicides. Teenagers, continuing to kill teenagers with no end in sight. "It's frustrating. It is frustrating every time you turn on the news somebody is losing their life and it's not, it's not right. Almost all of the deaths you see is murders, shooting, young people killing each other," she said. Metro police believe they are close to handing down charges in this case but they are still looking for leads. If you have any information that could help call Crime Stoppers at 615-74-CRIME.